After a disappointing season for Chelsea, era under Maurizio Sarri could begin with a bang when they face Manchester City for the Community Shield. When it will be all said and done – and in case Chelsea lift the silverware, the Manchester City fans, and probably from other rival clubs, will say it is just a pre-season trophy, the Community Shield. “It does not matter… “Who cares?” But for Chelsea fans, lifting the title would mean the start of a new hope, a new era, a way of giving a sendoff to the memories of the horrible previous season, and a chance to enter a new world where anything and everything is possible. Leading the charge this time around for the Blues will be another face, another Italian, quite different in approach from the one had they had before. 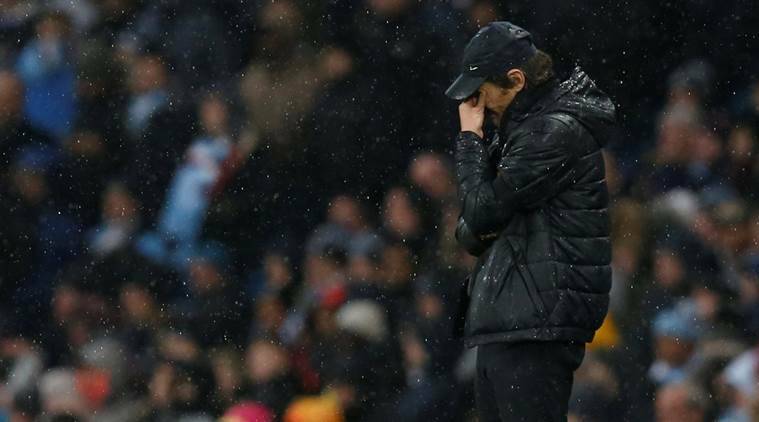 Maurizio Sarri’s appointment as Chelsea manager, to replace Antonio Conte, who lifted the Premier League title in his first season two years ago, came as a bit of a hard pill to swallow for the fans. Much was reported about Conte’s tough relations with the management – Chelsea’s farewell message on the website to Conte was just 61 words. But after a pre-season that sprung up a few positives coupled with a few negatives, the fans still remain unsure on what Sarri brings to the table. Sarri, at 59, is a more reserved individual than the one he is set to replace. The Italian, who took Napoli to the second position in Serie A the previous season, is known to be more aggressive in his approach as compared to Conte. Though, outside the field, Sarri is likely to keep his celebrations much limited than his predecessor. Tactically, there is much similarity between the two – they both want to press on after losing the ball; they both want to force the game wide. But the formation used by the managers is quite different. Sarri is likely to switch Chelsea’s 5-3-2 to 4-4-2. For The Blues, after a season that saw them finishing 5th, and losing the Champions League spot for the second time in three years, winning the Community Shield is an utmost necessity. The fans need to start believing in Sarri – they need to regain their trust in the club. Winning silverware in their first match would be the way to do it and would bring in fresh hopes, signalling the beginning of a new era. Chelsea last won the Community Shield in 2009 when they beat Manchester United on penalties. The side have not been able to register a win in their previous four appearances in the traditional showdown between league and FA Cup champions. If Sarri could win it for the club this time around, it would be a massive achievement, especially considering who he is facing this time. Manchester City’s Pep Guardiola completely ran over the competition last season, getting to a 22-match unbeaten streak in Premier League, and then eventually winning the trophy with a total of 100 points, 19 more than the second-placed Manchester United. The club has become the litmus test for Premier League teams – and so has manager Pep Guardiola. It reminds one of the saying made famous by WWE superstar, Ric Flair – “To be the man, you gotta beat the man”. If Maurizio Sarri has to tell the world that he has truly arrived, defeating Guardiola’s City would be the ultimate method. Guardiola’s tactics of possession saw the Citizens reap reward in the previous season. The quality of their attack – featuring the likes of Sergio Aguero, Leroy Sane, Gabriel Jesus, David Silva, is likely to pose a challenge for Chelsea’s defence line. But City will miss Kevin De Bruyne and Raheem Sterling, who are yet to return from their World Cup break, and this is where Sarri’s opportunity lies to outwit the opponents. In a high profile clash against one of Premier League top-6, with a silverware on the line, the stakes for Manchester City are high. City had a tough pre-season, where they won only one match out of three. It did nothing to detract fans from believing they will be lifting another EPL title this season. If they lose the Community Shield, nothing much will change for the club. If they win, it is just another day at business. After a completely dominant season, City are left with nothing to prove. They win one, they lose one – at the end of the day – they still currently are the best team in English football.